The goal of e(Project) is to be the biggest and most powerful project management solution on the web. There are many project management systems/services out there and you have tried many. e(Project) is being developed because most are either missing key features or did not work. We plan to solve this with e(Project). With YOUR help we can make it the best project management tool ever! e(Project) is a full featured PM solution. Project management integrations, and project filters to do simple task management drill down. Time management includes task timers, CSV reports for both project and company timers. Accounting tools include estimates, invoicing with payments, PDF invoice downloads, and payment tracking. See the growing list here. GitHub probably one of the most popular git repository solutions today. e(Project) has hook integrations for commit pushes via GitHub. Atlassian is well known for their various development tools. Bitbucket is one of them and is a well-known git repository solution. Gitlab is not really a newcomer to the development communities but is the newest of the three we support and has quickly gained ground for its solutions. Slack the chat app that everyone is using, even here at e(Project). e(Project) fully integrates with Slack via webhooks with both retrieving and posting to a Slack channel. You can even have different channels for invoices and tasks. HipChat is a well-known chat system used by a lot of teams that use the entire Atlassian stack. So we provide an integration for HipChat to keep e(Project) connected to the team members hanging out in the chat. Most companies rely on credit cards to pay for their services. You can also allow them to pay their invoices via credit card with the good know and trusted gateway Stripe. 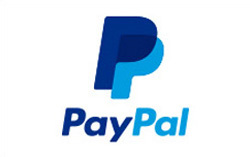 Everyone that has spent any time on the internet shopping knows who PayPal is. Give your clients the option to pay their invoices with something familiar, secure and easy. Toggl timer integration via Toggl Buttons project which provides browser plugins for both FireFox and Chrome. An extra layer of security and performance provided by CloudFlare which is not something that you would use directly but it is always there.